Since the birth of the Internet, online slots have become the most played casino games, online and even in land based casinos. This is because when South African online slot players get to a casino resort and meet a familiar game they are likely to play it. Online casinos give people the convenience of playing gambling games from anywhere in Mzansi. This has made games of chance easily accessible to everyday people. All they need is Internet connection and device that can connect. The top online casinos offer their games to play even on the latest mobile smart devices. The first slot machine was created by Charles Fey in the last years of the 19th century. There were many designs of the game but the first fully automated casino game was the Liberty Bell. As you can guess the game’s jackpot winning symbol was the Liberty Bell. The game was a three reel game which operated using rolling drums. Other symbols in the game were horseshoes, spades, diamonds and hearts. Fast forward nearly a hundred years and slots had become a regular sight in many casinos. And as technology continued to develop the games became more advanced. The drums were replaced by Random Number Generators making the games fairer. More Reels were added to the game to provide for a larger number of possible winning options. With advancements in computer generated images, the graphics and animations also improved. However, at each stage, the game developed fans, therefore, all the versions of the game are represented at the top internet casinos in South Africa. The majority of slot games on the internet are available in 3 reel and 5 reel formats. There are some game developers like Realtime Gaming (RTG) who have made games which have six or more reels. Regardless the common types of games are the classic 3 reel slot and more modern 5 reel slots. These are commonly called classic online slots. This is because the 3 reel slots where the first type of automated casino games. The game play is on 3 reels. Each of the rows has the three columns of symbols. The columns create the pay lines. Games can have one or multiple pay lines. After a while, more reels were added to the game. The move increased the number of pay lines. Therefore players can wager more money per spin and there are also more chances to win per spin. Because the games were born in the era of technology they have awesome graphics such that they are called video slots. Fixed Jackpots– These are games whose jackpot does not increase but the amount remains the same. Local Progressive Slot-The jackpot in these games increases with a small percentage of bets placed on linked games in the casino. 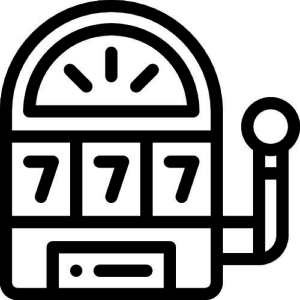 Linked Progressive Slots – These are jackpots that are contributed to by games in different casinos. Get some great online slot tips from our industry experts at Casino ZA.